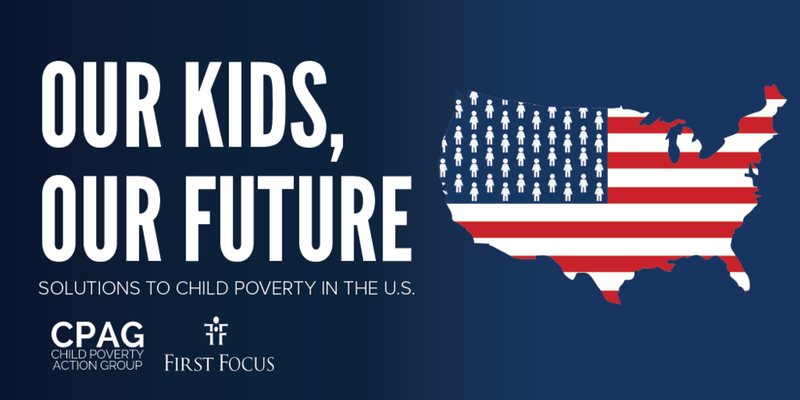 Use the images and suggested tweets below to help promote the release of Our Kids, Our Future: Solutions to Child Poverty in the U.S.
Click the image to expand and then right click to "Save image as." 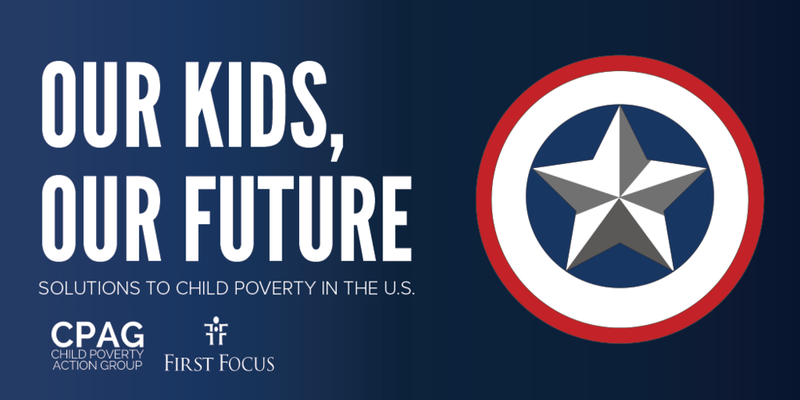 Join us at 3 p.m. for the release of @CPAG_USA's Our Kids, Our Future -- a cross-sector guide to reducing child poverty in the United States. This compendium of policy solutions with a national commitment to #ValueOurKids can fight child poverty. 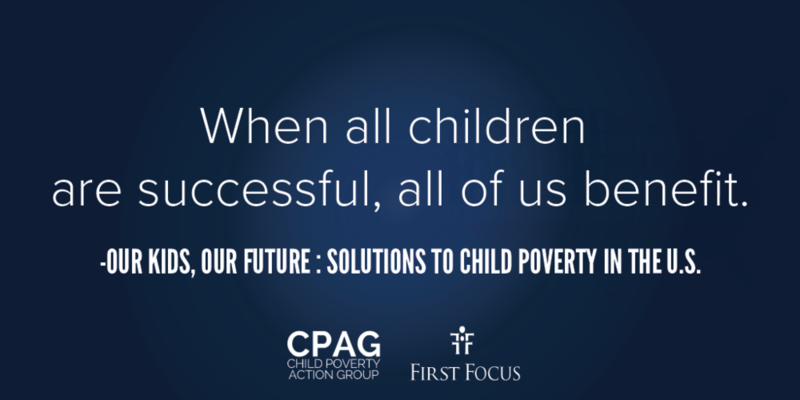 Check out @CPAG_USA for coverage of the briefing event and release of Our Kids, Our Future, a compendium of cross-sector solutions to significantly reduce child poverty in the U.S. We can #ValueOurKids by making sure that no child has to experience poverty.